Eating before a workout can help prevent low blood sugar and fatigue—both of which can greatly decrease your exercise performance! What you eat will vary based on the time of day, what you’re doing for exercise, and how long you plan to be active. Prior to exercise, your main focus should be carbohydrates. It’s good to have little bit of protein and fat as well- make sure that your carbohydrate ratios are a little higher. It’s best to eat both simple and complex carbohydrates before working out to get a good balance of quick and slow-released energy. Fats and proteins take more time to digest, so they will help keep your stomach satisfied so that it’s not growling while you’re at the gym. Protein will work on repairing muscles after your workout is over (and at that point, it’s good to consume more). In general, fiber is your friend—but not before a workout. Ingesting too much fiber before a gym session could leave in a pretty uncomfortable situation! If you have no problems digesting dairy, having a little bit before you exercise is just fine. However, just like fiber—stay away from it if you have any digestion issues. 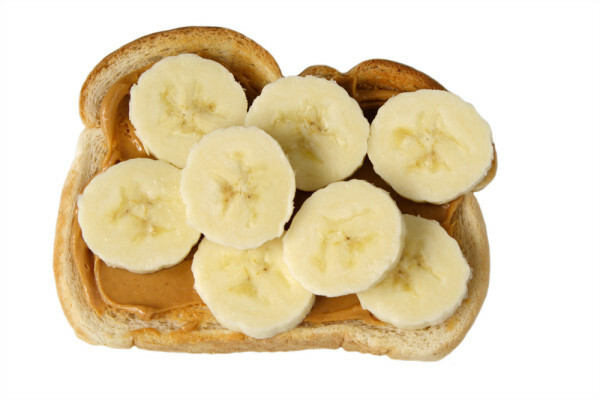 One slice of whole grain bread or toast topped with one tablespoon of peanut butter and one teaspoon of honey (or sliced banana) provides a great source of carbohydrates, plus a little bit of protein and fat. This snack is easily digestible and will provide a quick source of energy. Pancakes with added protein (like Flapjacked high protein pancake mix, which contains 15-17 grams of protein per serving) are perfect fuel for activities that require a greater amount of time and endurance- like cycling, a long run or a hike. 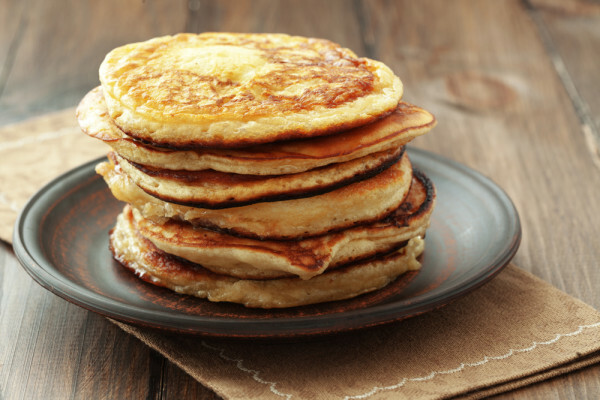 Here’s a helpful tip: make small pancakes in advance (2 tablespoons of batter per pancake), store them in a sealed container in the freezer and pop a few out to eat before a workout. These can also be a great post-workout snack- especially when paired with 1/2 cup Greek yogurt. Bananas are one of the best choices for a simple pre-workout snack. They’re made up of easily digestible carbs and are loaded with potassium, which the needs to be replenished in the body. Potassium is important to replace to aid in helping muscles and nerves function properly. Pair your banana with one tablespoon of almond butter for a a healthy source of protein and fat. Oats are a great choice because they work slowly to release into the bloodstream, keeping you fueled during your workout. They are also low on the glycemic index and won’t cause blood sugar levels to go all over the place. 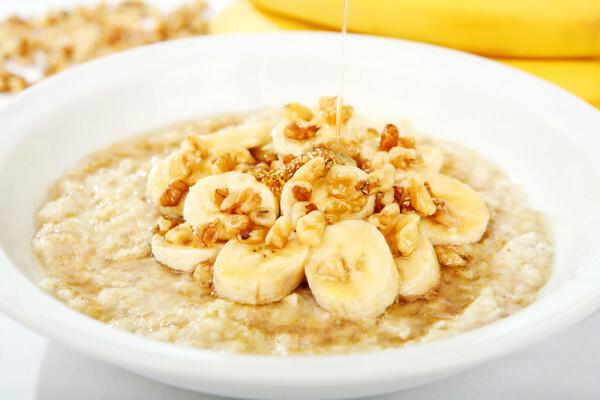 Enjoy your oatmeal plain or add a handful of fruit and nuts for a little bit of extra carbs, fats and protein. 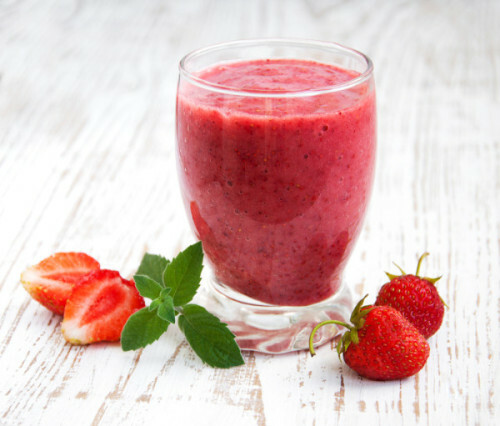 A smoothie is a great option for a pre-workout snack, provided that it’s mostly made up of fruit or juice. Don’t add a ton of protein powder, as that will take longer to digest and sit in your stomach while you’re exercising. Blend 1 cup of frozen fruit, 1 cup of almond milk and a handful of ice and one tablespoon of protein powder or nut butter for the perfect boost of energy. When you’re finished with your workout, reach for protein first and foremost. Protein is essential for rebuilding and repairing muscle tissues. Carbohydrates are also essential post-workout because they help replenish glycogen stores, which are depleted during strenuous exercise sessions. It’s also good to add some healthy fats into your post-workout meal or snack. Your post-workout smoothie is going to be quite different than one that you may have consumed prior to exercising. 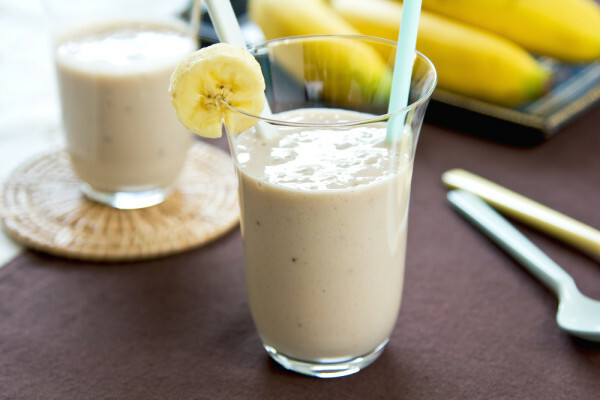 A source of protein (such as Greek yogurt of protein powder), along with 1/2 of a frozen banana, water or almond milk and ice provides the perfect balance or protein and carbs. Not all protein powders are created equally—so choose carefully. Tera’s Whey is a great choice because it’s made from high quality, hormone-free whey protein. A 7-ounce single serving container of low-fat Greek yogurt, like Fage Total 2% contains 20 grams of protein for only 150 calories. It’s an excellent source of calcium as well, which is important for maintaining strong bones. The small amount of fat in the yogurt will help keep you full a little longer and keep your hunger at bay. 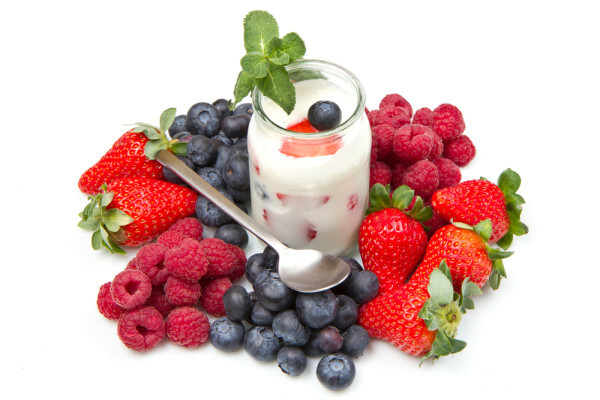 Pair your yogurt with 1 cup of berries for an added source of carbohydrates and antioxidants. Like whey protein and Greek yogurt, cottage cheese is an excellent source of dairy protein to consume after a workout. Cottage cheese contains glutamine, an amino acid that is very helpful for post-workout recovery. Stir in 1/2 cup of unsweetened applesauce and a sprinkle of cinnamon to 3/4 cup of low fat cottage cheese for a delicious source of carbohydrates. 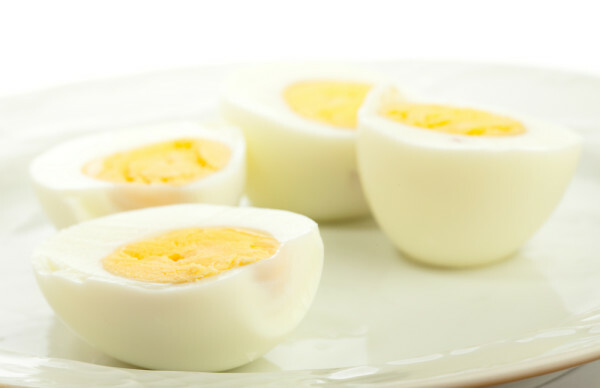 Eggs are one of the absolute best sources of protein for providing muscle growth. One egg contains 6-7 grams of protein and is a great source of vitamin D. Hard boil your eggs ahead of time so that they’re portable and ready for you right after your workout. Of course, you don’t have to hard boil them—you’ll get the same benefits whether they’re scrambled, over-easy, or poached. Add a serving of spinach for a great source of vitamins A, C, E, K, and B6 and protein. Chicken is a great source of lean protein and vitamin B. Pairing your chicken breast with a source of carbohydrates like a potato or sweet potato will help replenish glucose levels that were depleted during your workout. Add in a cup of steamed broccoli for extra nutrients and flavor. Remember to also drink plenty of water before, during and after your workout. Not drinking enough water can cause dehydration and significantly inhibit your performance greatly. A good rule of thumb is to drink 20 ounces one hour before working out, 8 ounces every 15 minutes during your workout (more if you’re working at a higher level of intensity and producing more sweat) and 20 ounces after your workout is complete.